HONK connects you to nearby motorists in need of towing and roadside assistance. Time is money. 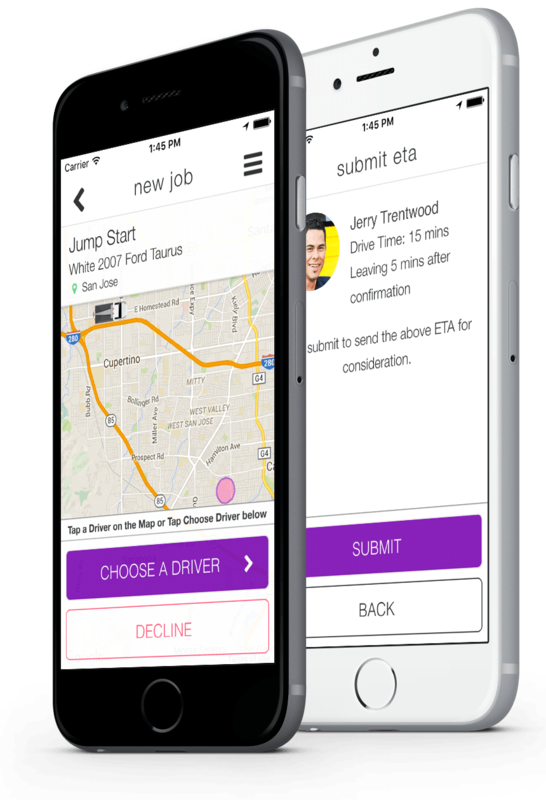 The HONK app’s dispatch technology means instant job alerts, faster dispatch and all the job details you need to be successful. Guaranteed payment, faster than the rest. HONK leads the industry with speedy electronic payment. Do the job, get paid. It’s that easy. Becoming a HONK Partner is 100% free. Simply complete the application and download the free HONK Partner App to get started now. HONK was founded on the idea that helping drivers should be easy, and it should be fair. Our mission is to reinvent the towing and roadside assistance industry with a model that rewards the tow men and women doing the work while setting reasonable rates for customers in need of help. We don’t have contractors, we have Partners. As a tech company, we work every day to remove the overhead and bloat that traditionally drives customer prices up and contractor payouts down. We’re only successful if it’s win-win-win: fair payouts for Partners, reasonable prices for customers and industry growth for HONK. We work hand-in-hand with our Partners to create the most fair and competitive pricing for each area. Towing in New York City isn’t the same as in Savannah, so we don’t pretend that they are. HONK’s tools let you see how you stack up in your area and put you in the driver’s seat for setting rates. Become a HONK Partner today and join us in changing the industry. An error has occurred while trying to reset your password. Please try again later.